We're a little sparse on pictures so far. 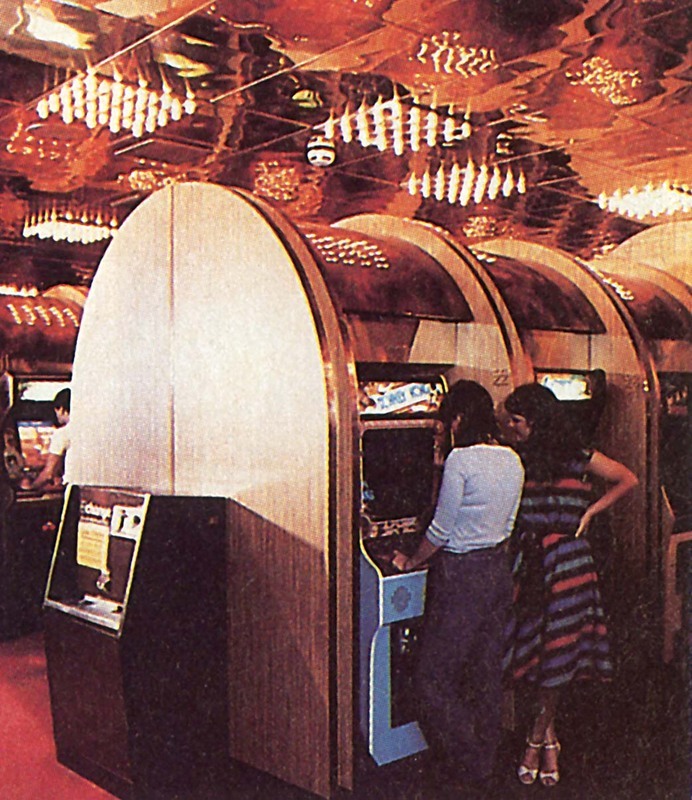 Below are two pictures from the article on Arnie's Place that ran in the November 1984 issue of Electronic Games magazine. (Thanks again to Nutballchamp for scanning in this article. A Birthday Party at Arnies! 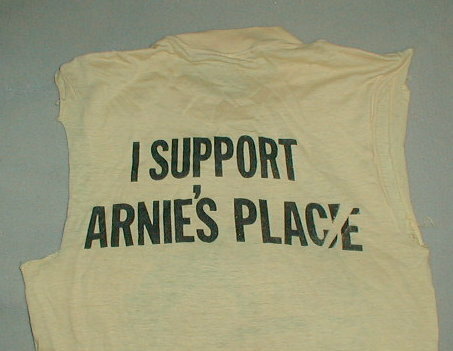 If you were a kid and had cool parents, or at least knew somebody with cool parents, you probably got to attend a birthday party at Arnie's Place. 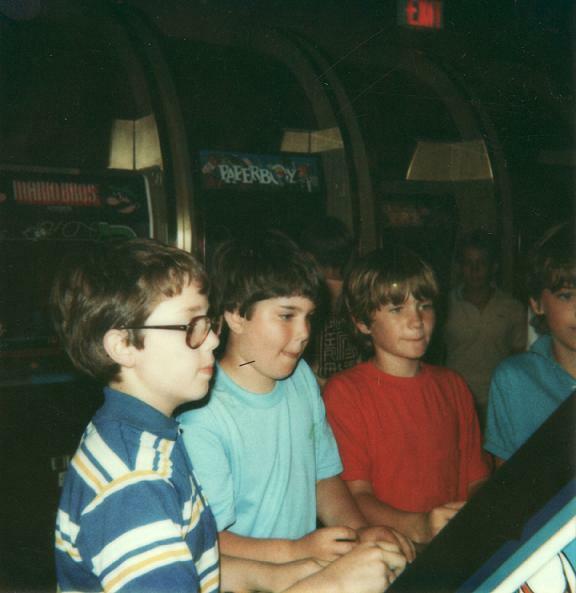 Supposedly there was a back room with additional games for private parties, but there was plenty to play in the main arcade. 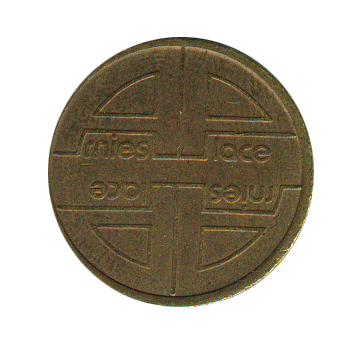 The picture below is from Brett A. 's birthday party in 1988. Brett and his friends Aiden, Chris and Jesse are playing the Gauntlet that was at the end of the row of games closest to the window. You can see the Paperboy directly behind them. 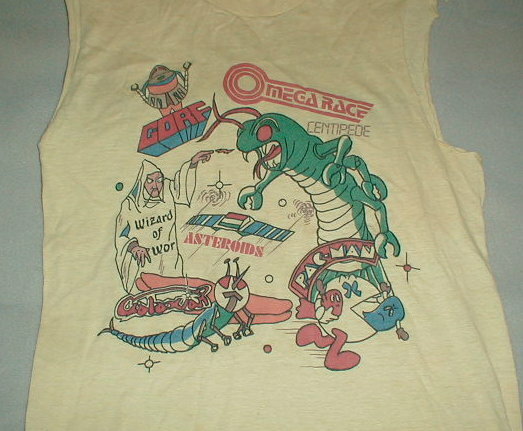 If you lived near Westport in 1982-83, you probably remember seeing a bunch of teenagers wearing these shirts. To help build grassroots support for his battle with the town of Westport, Arnie would send a T-shirt or bumper sticker to anyone who sent in a card from the local paper. Needless to say, they were quite popular with us kids and it wasn't hard to find someone wearing one in downtown Westport for a while. Some of us (like me) never got the T-shirt, but thankfully Chris H. saved his (although the sleaves didn't make it!) and sent some pictures in. 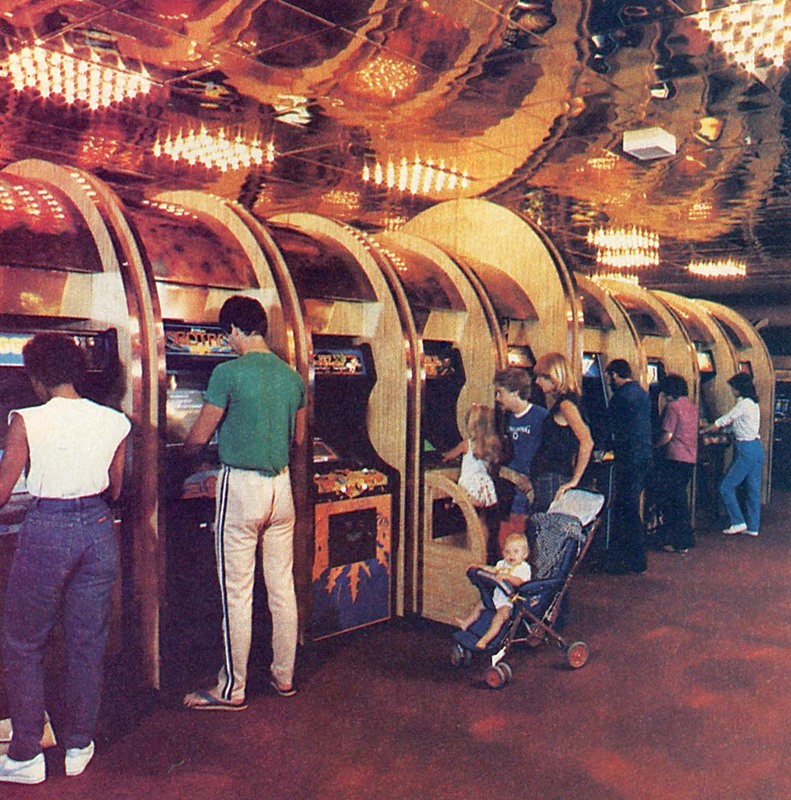 The arcade was Arnie Kaye's best known business, but there were a number of other businesses at the same location. There was the Clip Joint for haircuts, the pool hall and the ice cream parlor, Georgie Porgie's. 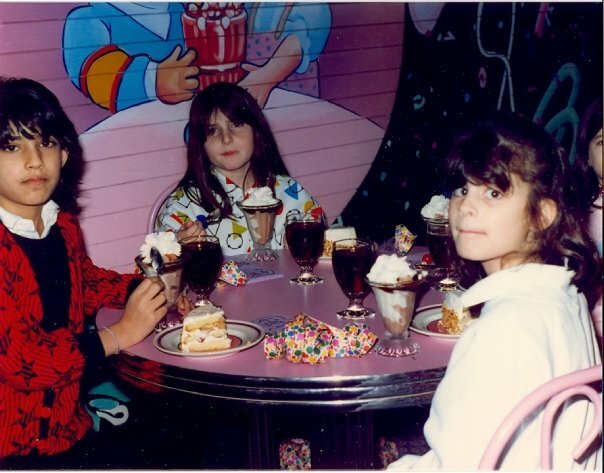 I never tried it myself, but Lindsey B. was kind enough to send a picture of her and some friends enjoying sundaes, cake and sodas. (Thanks to Lindsey B. for sending us our first shot of Georgie Porgie's! Help Me Build this site! If you have any other pictures of Arnie's, Black & White, Color, anything, please email me. Pictures from a birthday party at Arnie's? Old photos from the Westport News or Norwalk Hour? Anything helps. 8/16/09 - Updates to the Game List and History pages. 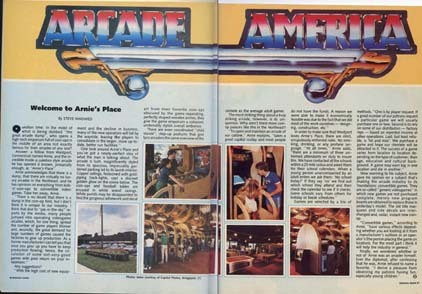 3/27/09 - Electronic Games Magazine article about Arnie's is posted.